What does that tell you about sales? Sony has decided to lop thousands of yen off the price of the PS Vita in Japan, with both the 3G and Wi-Fi models dropping to 19,980 yen (that's around £140, $215 or AU$208). Before the price drop, a Sony PS Vita Wi-Fi only would have set you back 25,000 yen in Japan, and the Wi-Fi plus 3G model 30,000 yen. The flat pricing might sound like a death knell for the Wi-Fi only PS Vita model, but if you opt for the 3G console then you have to shell out for a 3G contract too. The price cut doesn't exactly speak of the PS Vita having enviable sales prowess in the face of mobile gaming, despite doing fairly well on release. 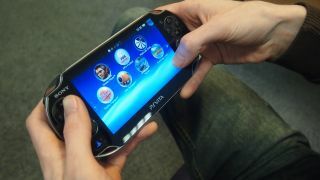 Sony hit 1.8 million Vita sales worldwide by the end of March 2012, shifting 600,000 in March alone; since then, however, interest in the console seems to have dropped out of sight, to the point where Sony cut its Vita sales predictions for this year. There's no word on whether the rest of the world will see a similar price cut yet; perhaps Sony will reveal more at its hotly-tipped PS4 launch event on Wednesday. In the UK, PS Vita prices are staying put at £230 for the Wi-Fi model and £280 for Wi-Fi and 3G, while the US pays around $250 for the Wi-Fi only edition and $280 for the 3G-ability.